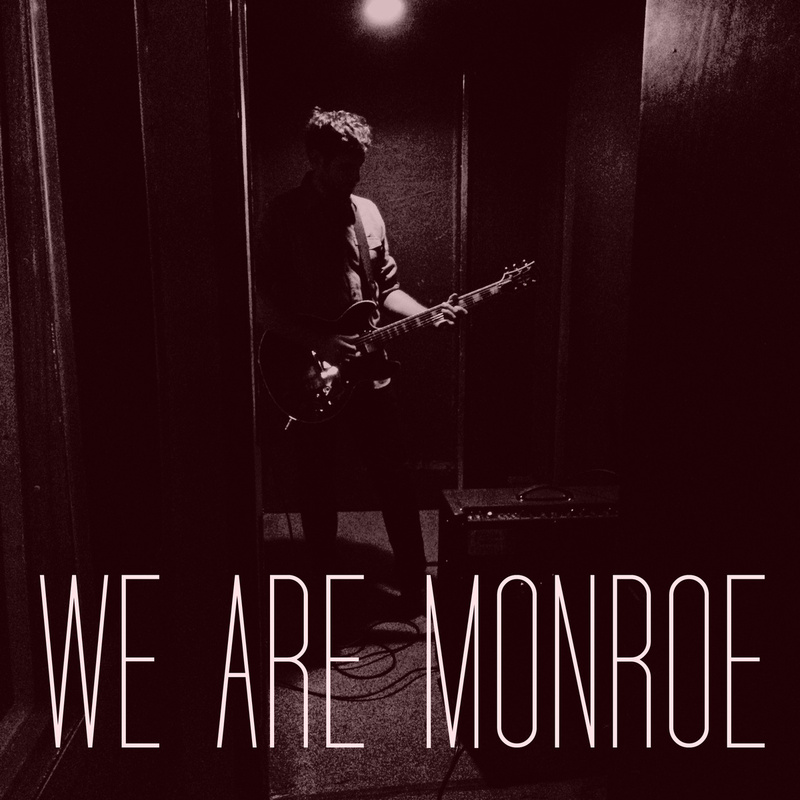 I recently got the opportunity to speak with the lead guitarist, Jason of We Are Monroe about the release of their debut self-titled EP and their plans for the future. You can read our review of the EP here as well as check out their website and Facebook page for show information and more. Read the interview below, and if you want to download and listen to the full interview you can do so here. First off, can you please tell the names of the members in the band and their roles? Ben and Pete known each other since grade school kept in touch throughout the years. Ben was a hired musician and when they both finished school, Pete wanted to join the band, so they played music together for a while. When their last project ended, they wanted to start something up and I met those guys at the beginning of a new adventure they were trying to start through a mutual friend, another musician who was supposed to be in the band. Right away we really clicked, we were musically, initially compatible. We started as a three – piece, and eventually we realized that we wanted to move into a more, rock, direction. I realized that my voice was suited more to acoustic/folk stuff, and it didn’t fit to what we were trying to do. So we found Pat, who was in another band. And we kind of stole him from that band as they were kind of coming to an end anyway. He was at the top of our list, and we jammed with a few guys, but he was the top of our list, eventually he came back form travelling and agreed to come by, and then it became obvious that something was happening that was really cool. Where did the name “We are Monroe” come from? We were kinda brain storming one day, and after a while, the iconic image of Marilyn Monroe stood out. Sort of like the Warhol Pictures. There was something about it that seemed cool, and matched the aesthetic of it. 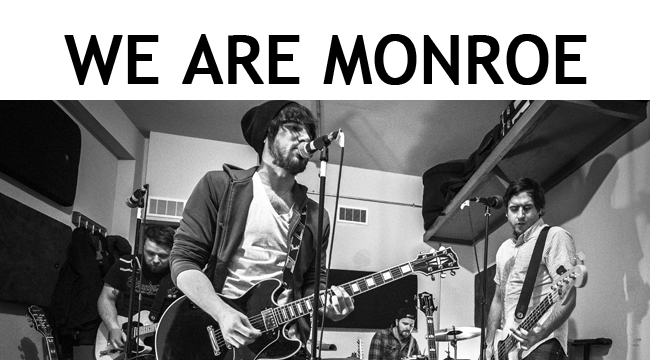 Originally we wanted Monroe, so we Google searched it to see if it was available, but there was an obscure band that we had never heard of that didn’t seem to have much going on, but we didn’t wanna take any chances, so eventually we slowly added the “We Are” on and the “We Are” is the collective idea, the reference is the spirit of the collective, and that’s where that came from. What genre would you classify as? Who would you compare yourself too? A lot of the bands tend to reference/fall under is post-punk revival. Sort of like what The Strokes are doing when they first came up, and same thing as The Killers. It’s a title really and post-punk revival is something that is easiest for us to say. Its rock, there are some pop sensibilities. It’s more of the mood/vibe when it really comes down to it. The more we write songs, or the more we try to tap into what we continuously worked towards as our sound. It’s a point of reference, but from there it’s more about the mood of the song. We knew what we were good at, but eventually we kinda just opened up a little more. What is the music scene like in Montreal? For a band like us there is still something indie – rockish there is a good collection of bands that are really active and gigging around, still helping each other out. Overall Montreal has become pretty eclectic about not necessarily one type of band, but about seeing what kind of bands can matchup and cross genres. The one thing that keeps coming back is the sense of community. I think there are a lot of the gaps that perhaps could’ve existed 5 – 10 years ago when Montreal was starting to get the reputation as the next “Hot Bed” for music. That bridged a lot of gaps, so that young bands who are just starting out could associate with bands what had a little bit more of a track record. Which artists were your inspiration when you were growing up? When I was younger, and a bit more naïve, I had a distorted view of what it meant to be in a band and have success. There were bands that matched up to that like Radiohead, Green Day, Weezer or Oasis. In the last 5 – 10 years since I’ve been in Montreal and being in bands, gigging and touring a little bit you develop a deeper appreciation of working in the industry. As well as the different levels of what it is to be successful. For me now, any level that would continuously keep me making music, touring, being able to make record and make a living. To become a “Working Class Band”. Ok now on to the EP! You recently released your first self-titled EP. How did you see it turning out? Did it turn out the way you wanted it to? We recorded that EP back in November. Going into the recording process we had a list of songs, which we could choose from, and a limited amount of time. We were trying to figure out what would make sense in what songs to put on, and how many songs it should be. We recorded in this old school studio, so it was a bit more out of the pocket to do it. All these factors made us have to decide what was going to be on the EP. The mixing was only a matter of 3 – 4 days. We had an amazing time, that it became just the fact that it was less about the songs, and more about the experience. We got the first part of the rough mixes a couple weeks later, and we were convinced it would be something we weren’t expecting. Everywhere we listened to it, it just kept surprising us because it was cool listening to it in other locations. All in all we had a great experience and we’re really happy how it turned out. Why choose to release an EP first instead of an album? The EP was already what we felt was good for us. For a lot of different reasons; being an independent band, not having a label behind it. It was the reality of where we were at the time. The idea of a full album is not over, its not like people are not gonna get it. For now we gravitated towards the notion of the idea of releasing less music but more frequently. Let people know where you’re at, and let people see you evolve as the months go by. It’s easier to do independently. What was the main inspiration behind the EP? The sonic element of having it being raw and trying to avoid putting in extra instrumentations that wouldn’t be live. A real representation of what people can expect to see when they come to see a show. Also the fact that we did the bed tracks, like the drums, bass and main guitar was all live off the floor, it gives the EP a that other raw element. Can you tell me anything special about your songwriting process? It differs from song to song, generally we write very democratically. A lot of songs will start with either a guitar riff, or a beat to have a rhythm section. Its lot of jamming is what it is. Sometimes Pat comes in with a vocal melody and we come in to cater that melody. Sometimes a song will take forever to come together, sometimes it takes weeks. Sometimes it’s a challenge cause you want it to sound good and have high expectations. Some best songs we feel we’ve written were written in 15 minutes, creating the melodies. Why did you choose these for songs four songs for the EP? Do the songs have any special or significant meanings behind them? Give Me Some Love was one of the first songs written as the four of us after pat joined the band. We felt really, really strongly about. It came together really quickly and we had a good feeling about it right away. It the oldest song on the EP, and it was sort of a no brainer to have a song like that on the EP as an easy introduction. Old Orchard made the cut do it its brute energy. You can’t hide behind a song like that, because it’s fast and fun and energetic which is what we want to show that we’re about. Modern Day Gentleman was newer at that point and it was a really different than everything else we had written at that point. Tear Yourself Apart was all about the vibe and darkness of the song. It’s a creepy kind of song. But what happens on the guitar is interesting to our sound and us. There were a few others songs we were interested in. We recorded five but it didn’t come out the way we wanted. So is there anything you can say about a second EP or new album in the future? We’ve been talking about the idea of trying to release music more frequently, but less songs at a time. There are 3 – 4 people that are interested in working with us and help record our music. We’re gonna try to build up a few collection of songs over the weeks and months until the end of the summer. When the rest of the guys get back after vacation in the fall, then we will go into it. We don’t now if its gonna be 1 – 2 songs a month, but its gonna be often. Also trying to exploit YouTube as a means to get out there, by doing live performances and putting that online. What are your plans for the rest of the year? Any tours that should be noted? A few things happening in Montreal between now and end of August. An acoustic showcase on 17th at Le Petit Medley through Yo Montreal Production Company. There might be a Montreal show, a show in Quebec. Through Facebook and our website we can put all shows and tour [Linked above]. We post in there as often as possible. Great that’s about it for me; do you have any last words? We’re excited about meeting new people and playing in new cities. We’re always excited to play wherever we are welcomed and meeting people. Trying to make ourselves accessible, and talking to people and build a fan base one person at a time. If anyone is interested check out our shows, write messages, email or tweet to us. One Hundred Year Ocean officially today release their new four track EP Where Were You While We Were Getting High?. Oasis fans unite! Based out of Willimantic, CT, OHYO is the solo work of Derrick Shanholtzer-Dvorak from TWIABP. 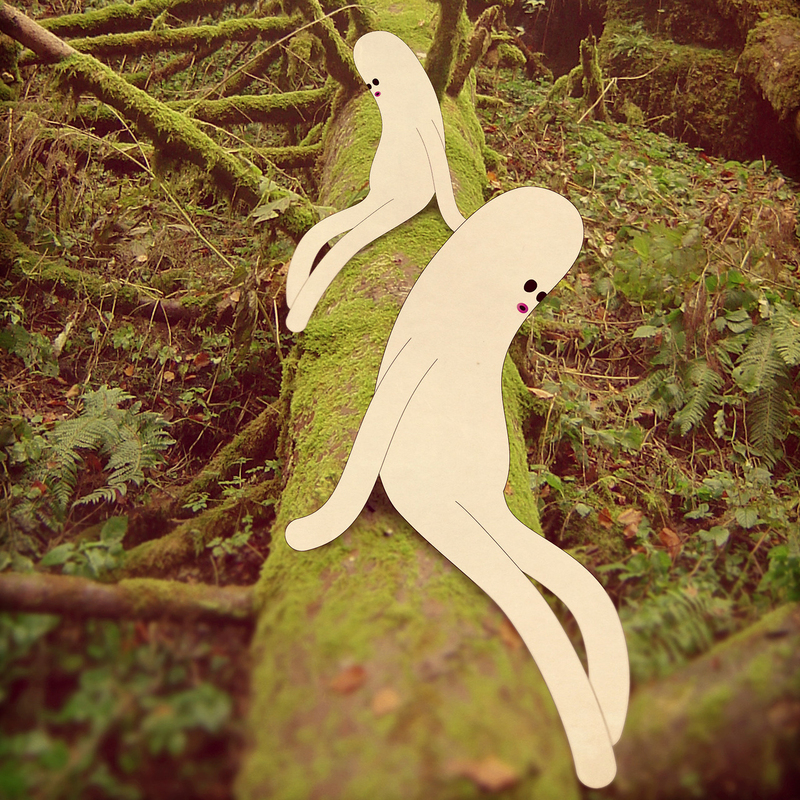 The band is “usually made up of close friends and weirdos” and creates an indie rock emo sound with musical influences such as Modest Mouse, The Hold Steady, and Cursive. The EP was recorded by Chris Teti at Silver Bullet Studios in Burlington, CT and mastered by Jon Markson. The first track on the EP titled Hospital Town, is a slower paced with a long repetitive intro leading to melancholy filled lyrics thematically about giving up. The refrain “I hope there is a hell / and I hope we don’t forget to lose it all” gives off an eerie tone with a slight glimmer of hope. Soco Amaretto Bud Light Lime, the second song, which I hope is in reference to the Brand New track, picks up the pace of the EP. Quick twinkly indie melodies and two verses containing philosophical questions and obscure nature imagery portrays the adeptness of this outfit at songwriting. The track then leads nicely into a Modest Mouse sounding instrumental bridge with a medley of synthesizer, guitar and percussion before closing out. In Apples, the trumpet leads the start of the track with the drums and guitar following. For some reason, I just love OHYO‘s use of the trumpet in this EP it just seems to fit seamlessly. Lyrically, I really hope the band members don’t drink each other’s urine, but if that’s the secret behind these songs, then maybe more bands should be drinking each other’s piss. Despite the short length of this track, just above one minute, it’s one of the more cheery numbers with lines such “Don’t worry about the rent, this month isn’t over yet.” and “We were electric like the summer / And I said to my brother / ‘Next Halloween let’s be each other and stay that way forever'” providing a sense of optimistic realism. The last track, Magnetic Curses is a personal favorite on the release, combining the beloved trumpet and Derrick Shanholtzer-Dvorak’s lyrical mastery. With a crescendo leading to “So where is our hope? / Or when do we get paid? /’cause I’ve been so broke” and a wail of emotion, it brought me back to that tear-jerking scene in 50/50 where Joseph Gordon-Levitt loses it in the car. This song is self-deprecating just without the humor, but it speaks to the listener and creates the mood that not many other genres can. With more mature songwriting and a refined sound, delving into various corners of indie, emo, and pop Where Were You While We Were Getting High? is definitely worth a listen and is one of my favorite releases this year so far. Streaming now on their Bandcamp with pre-orders of a one sided 12″ available later from Broken World Media pick this album up. There is a name your price basis download here. For more information check out their Facebook and catch them on their US tour starting in August. Beady Eye, the new project of Liam Gallagher of Oasis, has released the tracklisting for Different Gear, Still Speeding. The album will be released February 28th. Beady Eye, the new project of Liam Gallagher of Oasis, have released their first song “Bring The Light” for free. Download the new song here.